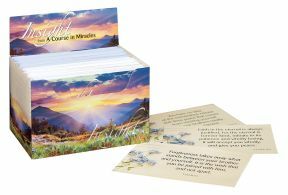 This new collection of more than 200 quotations from A Course in Miracles is the long-awaited sequel to the popular Wisdom from A Course in Miracles cards first introduced more than thirty-five years ago. 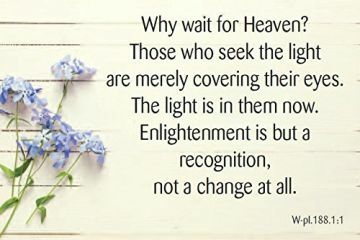 The quotes in this set are completely different from those found in the Wisdom Cards set. You can pick a card as a thought for the day, pass them around as "dessert" cards after dinner, or include one in a note to a friend. Each card measures 2 1/2 by 3 3/4 inches. Packaged in an attractive box that can be used for display.